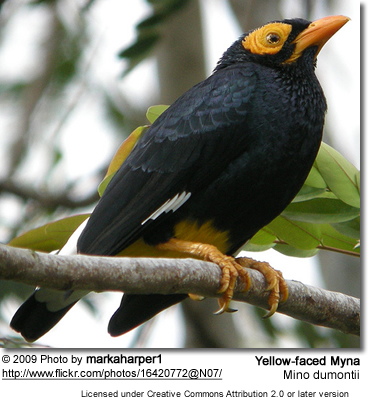 The Yellow-faced Myna or Mynah (Mino dumontii) is a starling found in New Guinea and nearby smaller islands, where it is found insubtropical or tropical moist lowland forest areas. 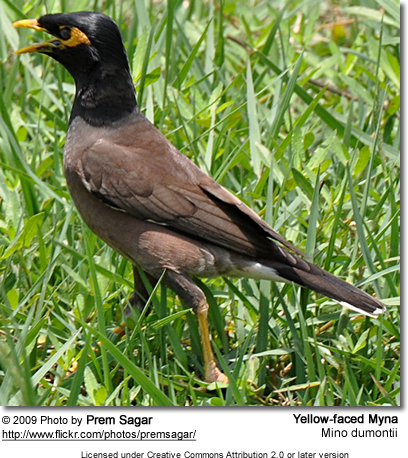 It formerly included the Long-tailed Myna as a subspecies. 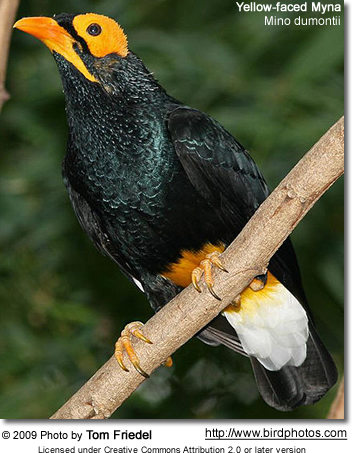 Most individuals have dark brown or black plumage which has a metallic luster. 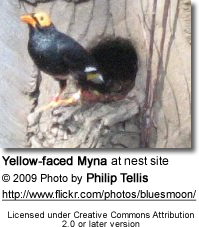 They have bright yellow patches over their eye areas. Their diet consists of insects, spiders, lizards, frogs, eggs, nestling birds and fruit.